Novak Djokovic’s victory over Andy Murray in the Qatar final earlier this month has seen him leapfrog the Scot in the title betting for the Australian Open, but it could pay to have faith in the dual Wimbledon hero one more time in the first month of the year. Murray came up short in Abu Dhabi and Doha, but his reaction after losing in three sets to Djokovic earlier this month was far from negative. 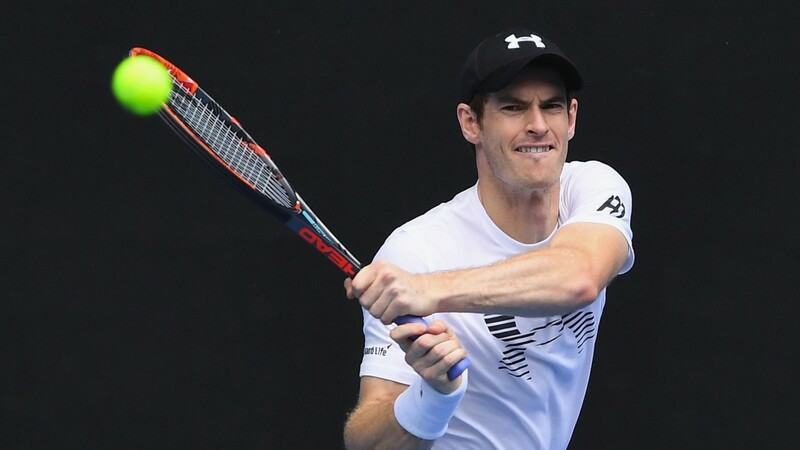 Should the top two meet in the Melbourne Park final it would be unlikely to be easy for Murray to defeat his Serbian rival, who has taken tennis to a new high since the years dominated by Roger Federer and Rafael Nadal. But Murray and his team, marshalled by Ivan Lendl, got it spectacularly right at the end of the 2016 season, when his dream of ruling the tennis world was finally realised, and it’s way too early to part company with a performer who is desperate to taste Grand Slam glory at the Australian and French Opens. Djokovic, who has been the man down under, is bidding for a record seventh singles triumph, one that would push him one clear of Roy Emerson, winner of six homeland crowns in the 1960s. Nadal has won only one Australian Open, Pete Sampras only two and Federer and Andre Agassi captured four each, so nailing six is some feat from Djokovic, a player who experienced breathing issues at Melbourne Park earlier in his career. Although he won’t take Illya Marchenko for granted, Murray would appear to have the easier start to the tournament. Djokovic opens against Fernando Verdasco, who has started the season in fine touch and upended Nadal in round one in Victoria 12 months ago and took Murray to five sets in a thriller in 2009. It’s a difficult choice between backing Murray, Djokovic or the pair to meet in the final – all are similar prices – but the pressure on the world number two to break the record could prove the decisive factor and for that reason Murray, whose progress could be more serene, can be supported. Indeed, it could pay to split stakes on Murray and a final between the big two, a scenario which would guarantee some recompense for punters. As well as the obvious threat that Djokovic poses, good things are also expected of former top dogs Federer and Nadal. Federer’s game looked in good order in the Hopman Cup in the first week of the new season and the Swiss veteran could pose problems for opponents in a quarter that could see him tackle Tomas Berdych, Kei Nishikori and Murray. But the thought in recent years has been that Federer is not best suited to the intense heat given his advanced age and with high temperatures expected in Melbourne, it’s probably wise not to forget that. Nadal, who retained his Abu Dhabi title, has started the season with a win and a loss against Milos Raonic and it’s possible that the Spaniard could have enough this time to defeat the Canadian should they clash in the last eight. But Australia has never been Nadal’s happiest hunting ground – he has reached the final on only three occasions which for a player of his ability is surprising – and that’s enough to deter punters from backing him to win the third quarter. Raonic, Stan Wawrinka and Marin Cilic could also go well, while of the younger brigade Nick Kyrgios and Alexander Zverev warrant respect. Bernard Tomic, still only 24, looked good enough to go close to winning the Australian Open years ago so should still be viewed as a potential contender, while Abu Dhabi finalsit and Kooyong winner David Goffin is good enough to win a Grand Slam if the top brass fall short. There were some superb stats being posted by Dominic Thiem in recent seasons, ones that gave him claim to winning at the highest level, but it’s asking a lot of the Austrian to surprise his rivals down under, especially considering he has yet to triumph at Masters level. It’s great to see Tommy Haas back at the grand old age of 38 and the German is capable of faring better than many expect if he has worked hard on his fitness in preparation for the Slam. Sadly the fixed-odds prices are highly unlikely to lend themselves to profiting on Haas, who is 300-1 to win a quarter of the draw including Djokovic, but spread index buyers may find a way to support the former world number two.